PCECD Castlevania: Rondo of Blood (JPN) in 23:17.78 by arukAdo. Castlevania: Rondo of Blood (1993) is an important milestone in the Castlevania series and a predecessor to the even more successful Symphony of the Night. 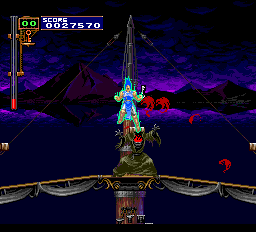 This game was ported two years later to the SNES as Dracula X. In this installment of a popular TV show, a miserable little pile of secrets known as Richter Belmont is once again called to have it at a savior mankind needs so ill. Armed with his trusty key and a question mark nicknamed 'Vampire Killer', he makes sure no candleholder remains standing in Dracula's castle. Eager to just get it over with, he plows through without as much as a slightest regard to his purple-haired girlfriend and some other people still imprisoned there. It seems what little time one has to spare in a TAS is best spent moonwalking and yelling at the screen, anyway. 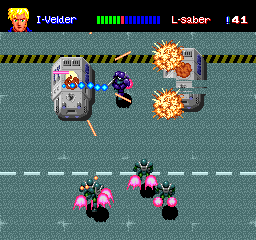 A slower version of this run taking only the regular stages is available. Due to this movie being faster, that submission was cancelled, yet there are arguably more entertaining moments in the cancelled submission (the author recommends stage 4 in particular). PCECD Double Dragon II: The Revenge (JPN) in 11:57.73 by arukAdo. 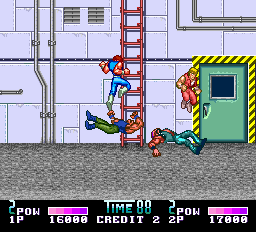 Rather different from both the NES version and arcade versions of this game, this version of Double Dragon 2 features higher resolution graphics much closer to that of the SNES iterations of the series. Notably, many of the glitches present in the NES version are absent here, yielding slower yet arguably no less entertaining gameplay. 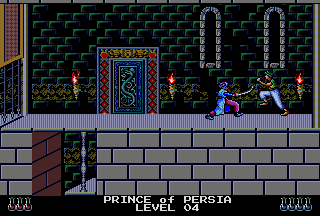 PCECD Prince of Persia (USA) in 05:14.31 by Challenger. This run by Challenger, done on the TurboGrafx CD port of the game, defeats Jaffar in record time, by setting the speed to the fastest one available.